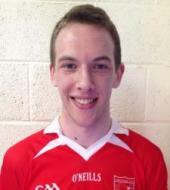 Captain of the Junior A Footballers for 2014, Patrick O'Riordan is an accountant at PepsiCo. He made his Championship debut against Ã‰ire Ã“g in 2003. Patrick's favourite food is ice-ceam and believes you can't beat an ol' Choc-Ice from time to time. His favourite TV show is Breaking Bad while his favourite pastime includes watching any sport on TV other than cricket. 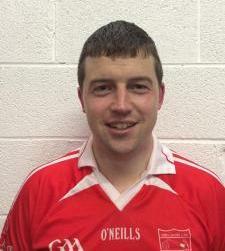 Patrick also enjoys playing soccer, the odd hurling game & cycling when he has time. He considers his greatest sporting achievements to be winning the Minor County Football Championship in 2002, the Beamish Cup in 2005 and also beating his brother Daniel at FIFA one night also. His best club memory is also winning the Minor County Football Championship in 2002 which was the club's first county title. Patrick considers Frank Lampard to be among the best club players he has ever seen, while Michael Shields is the best he has seen at intercounty level. If Patrick could change one thing in GAA - it would be to get the Dubs out of Croke Park for more Championship games. When he was younger, he wanted to be an accountant which now means he is living the dream. The person he'd most like to meet is JosÃ© Mourinho, while he considers the best invention ever to be the football. Marooned on a desert island, Patrick could not be without a good helmet because apparently falling coconuts kill more people than sharks do. You may not know this but Patrick is secretly good at training calves how to drink milk. He would also like to add that despite recent match reports in the Lee Valley Outlook, his name is Patrick & not PÃ¡draig.